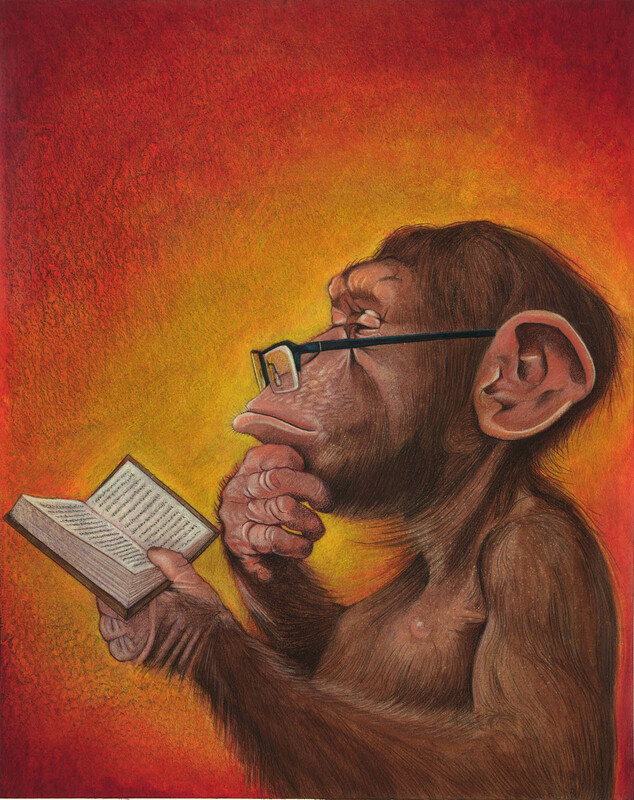 This was a pretty straightforward project—a chimpanzee thoughtfully reading a book. The only request was that I leave ample space for typography. ?????????????? ?????? ????????? ??? ??????????? 12 ????????? – ????? ???? ?????? ????????? ??????? ??????????? ?, ?????????? ?????? ????????? ? ?????? ????????? ????????. ?????????? ?????? ?? 1 ???? ? ??????? ?? ???? – ???????? ?????? ?????????????????? ?????? ?????? ? ??????? ?? ???? ????????? ?, ?????? ????????? ??? ??????????. ?????? ?????? ???????? – ????? ???????? ?, ?????? ?????. ??????????? ?????? ???????? ???? – ???????????? ?????????? ?????? ?, ?????? ????????????? ??????????. ?????? ??????? ??? ???????? ???????? – ?????? ? ???????? ???????? ????????? ??? ?????? ?, ???????? ?? ???????? ??????? ?.